This Carnival King PM30SWTCH replacement ON/OFF switch is made to fit Carnival King's Royal Series PM30R, PM50R, and PMW17R popcorn poppers, and CCM28 cotton candy machines. 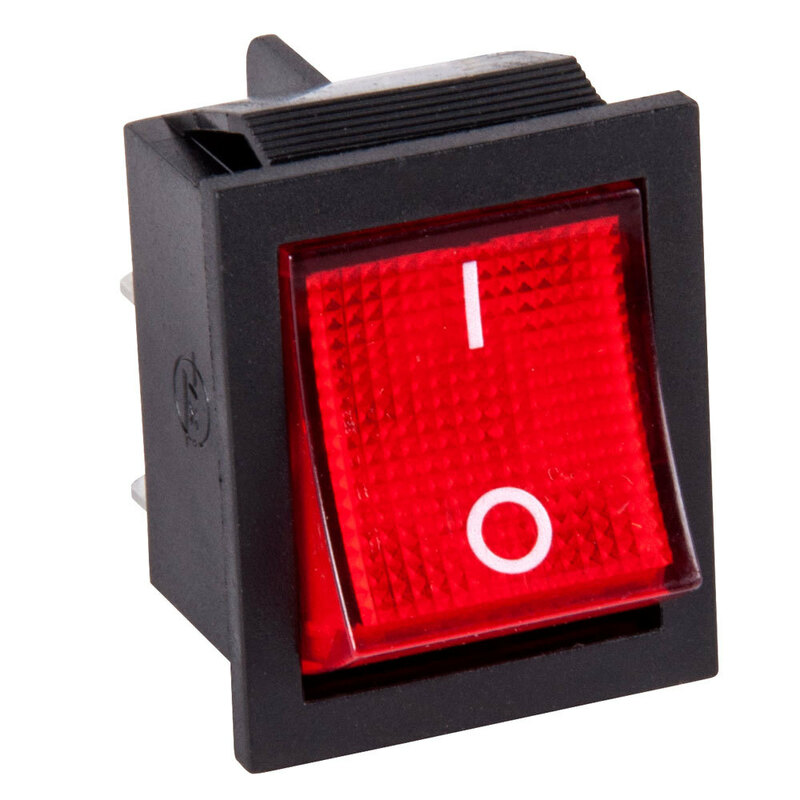 If your original switch breaks or becomes damaged, simply fix it with this replacement switch that features a red ON/OFF button. On compatible popcorn poppers, it can be used to replace the "Turn", "Heat", "Show Lamp", and "Warming & Light" switches. On the CCM28 cotton candy maker, it is used to replace the "Heat" and "Power" switches.